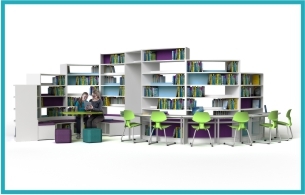 Libraries, classrooms and open-plan learning zones. 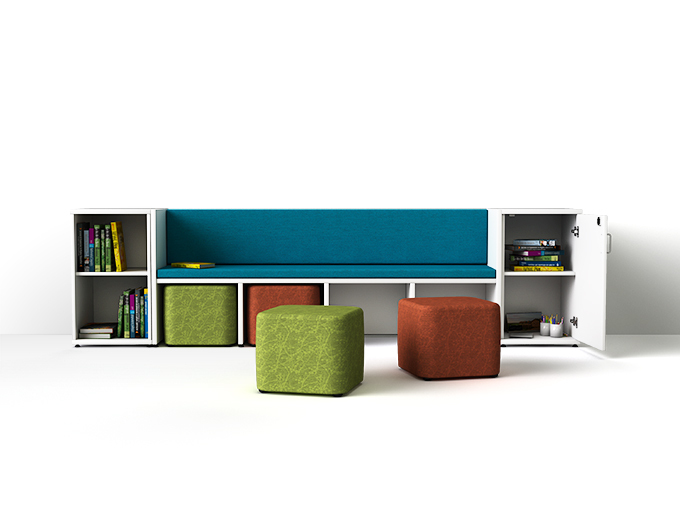 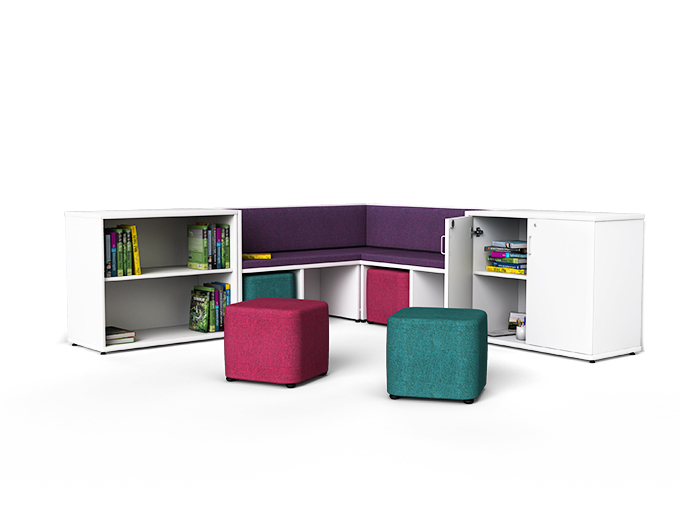 The zioxi Reading Nook is the perfect element to include into any classroom that needs a quiet reading space. 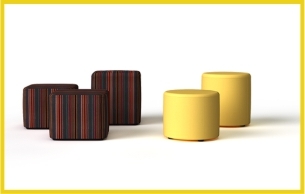 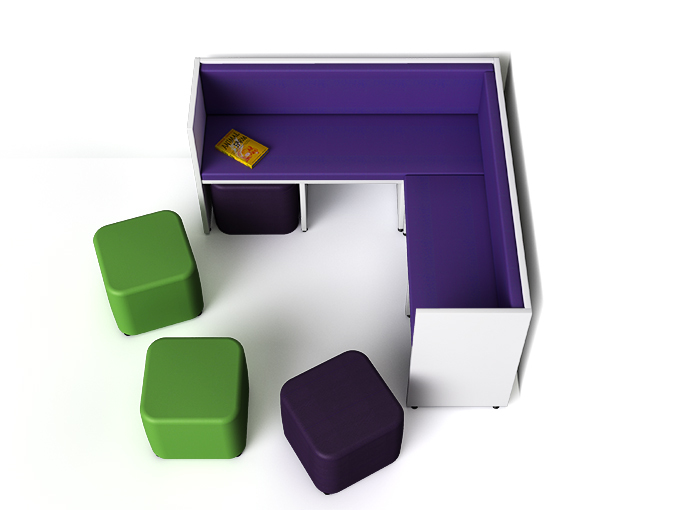 Its modular format makes it easy to fit up against a wall or into a corner. 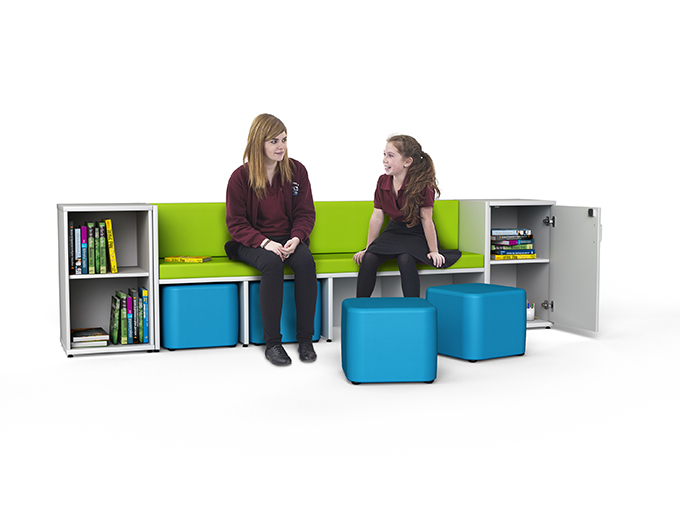 Add a storage unit either side of the reading bench to store your resources and if you want to use it for a larger group of students simply pull out the stools that are neatly tucked away underneath – easy! 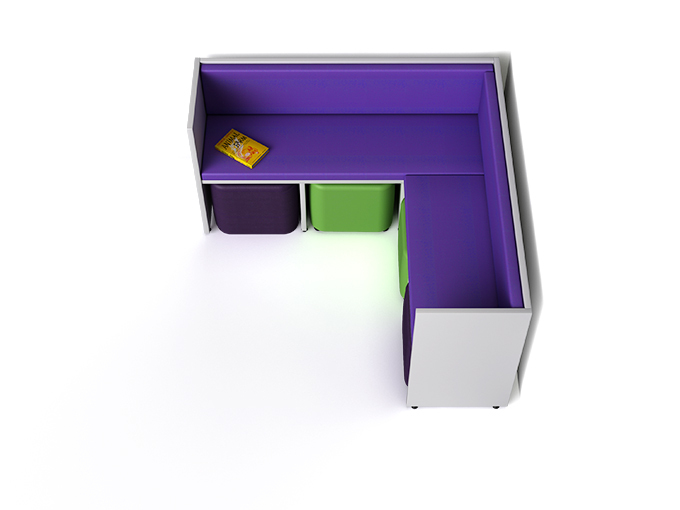 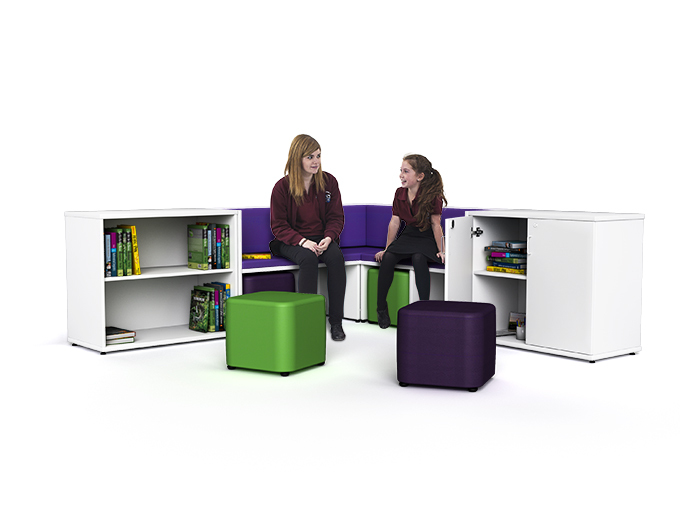 For, libraries, classrooms and open-plan learning zones.